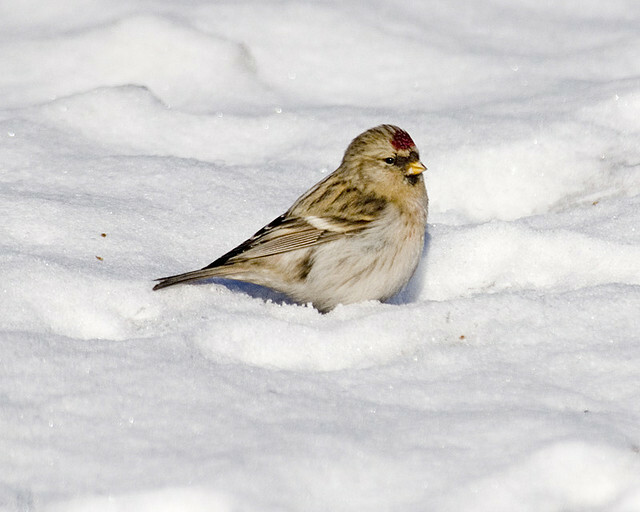 The Arctic Redpoll breeds in North America and Europe. It is a light, almost white redpoll with a red spot on its crown. 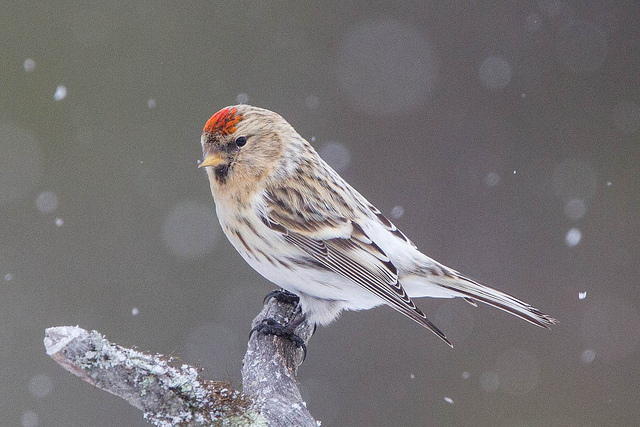 Normally you may find the Arctic Redpoll on tundras in birch trees or low shrubs.